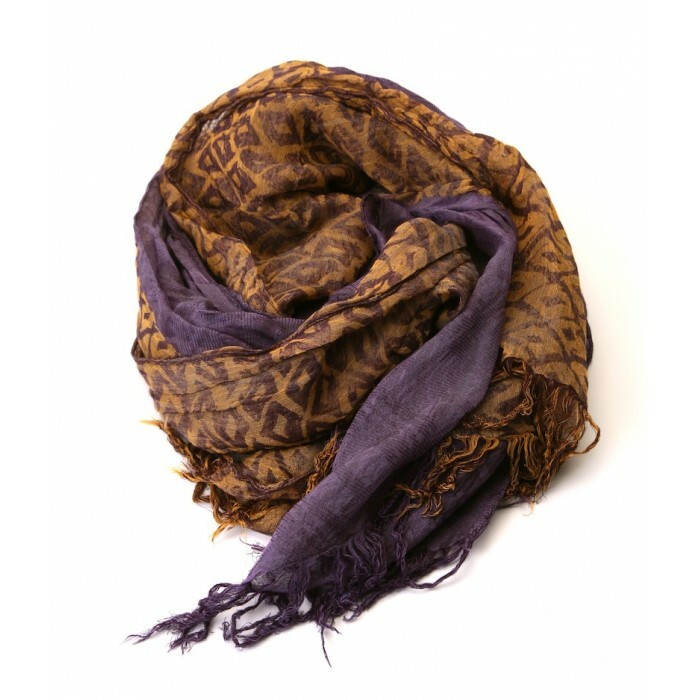 Beautiful color combination of ochre yellow plays against a heavenly lavender hue. 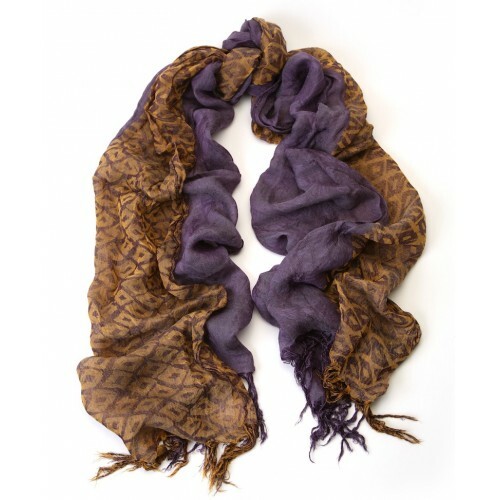 Sophisticated 2 tone vertical colorbloc transitional Italian scarf with chic jacquard geometric motif. 28x71", 70 viscose, 30 silk, twisted loose fringes on 2 ends.